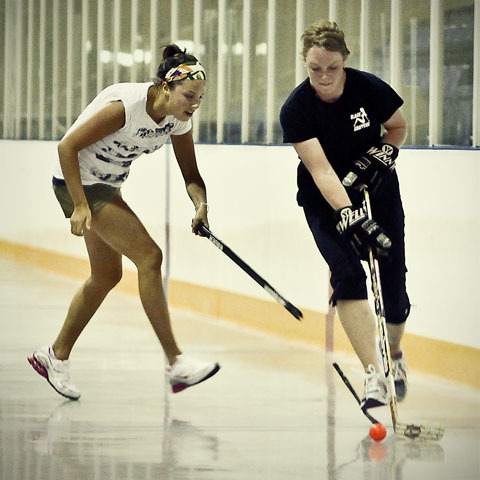 Sue, a woman on Anjhela's ball hockey team (the Black Snappers), could probably use this as evidence that she didn't mean to break this girl's stick, despite the victim's team's claims. I doubt I'll be getting a subpoena for this photo any time soon. Camera: Canon EOS 50D Lens: Canon EF 100mm f2 Light: Existing ISO: 800 Exposure: f3.2 @ 1/200 sec.